For every order that is referred by an advocate, a referral record is created and will be visible in the admin area in the Referrals view. ​If you are rewarding your advocates with store credit, the amount of credit earned for the referral is also shown here and this information is also visible to the advocate once the referral is approved. This store credit accumulates for each of the advocate’s approved referrals and all of the advocate’s store credit will be automatically used on their next order. 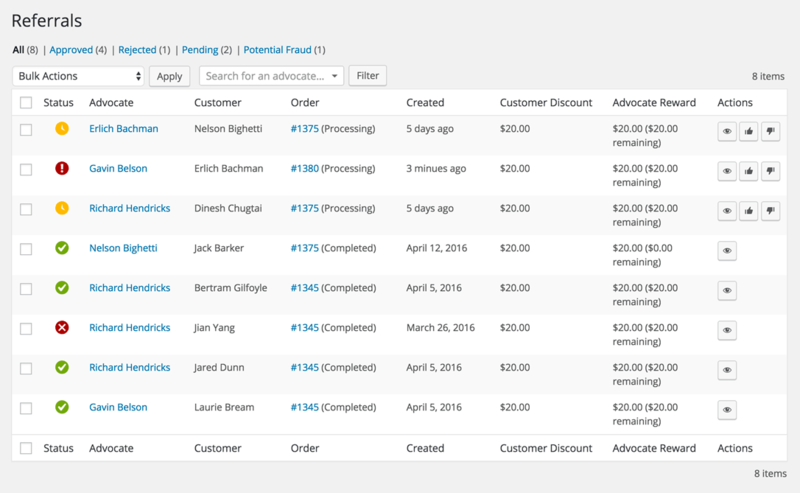 The credit amount is labelled Referral Credit and is shown in the cart and checkout totals. The advocate is not able to choose to use the credit, it must be used on their next order.